Celebrating the Month of Romance! 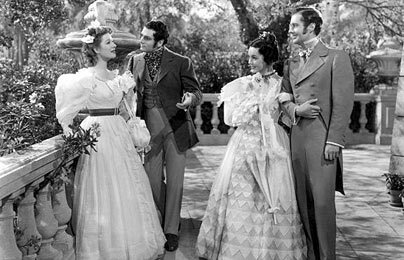 The Oscar decision that most disappointed me last week was that Jane Eyre didn't win for Best Costume Design. I thought the costumes were beautiful, and complemented the vibe of the story and the personality of each character perfectly. "[H]e laid on the table a new publication—a poem: one of those genuine productions so often vouchsafed to the fortunate public of those days—the golden age of modern literature. Alas! the readers of our era are less favoured. But courage! I will not pause either to accuse or repine. I know poetry is not dead, nor genius lost; nor has Mammon gained power over either, to bind or slay: they will both assert their existence, their presence, their liberty and strength again one day. Powerful angels, safe in heaven! they smile when sordid souls triumph, and feeble ones weep over their destruction. Poetry destroyed? Genius banished? No! Mediocrity, no: do not let envy prompt you to the thought. No; they not only live, but reign and redeem: and without their divine influence spread everywhere, you would be in hell—the hell of your own meanness. While I was eagerly glancing at the bright pages of 'Marmion' (for 'Marmion' it was), St. John stooped to examine my drawing." "But it's cool that they always make the clothes Victorian in movie adaptations," I thought, "because it's such a Victorian book. Putting Jane and Rochester in Regency clothes would be as weird as that Pride and Prejudice where everyone has leg-of-mutton sleeves." "The sentence that was current at the beginning of the nineteenth century ran something like this perhaps: 'The grandeur of their works was an argument with them, not to stop short, but to proceed. They could have no higher excitement or satisfaction than in the exercise of their art and endless generations of truth and beauty. Success prompts to exertion; and habit facilitates success.' That is a man's sentence; behind it one can see Johnson, Gibbon and the rest. It was a sentence that was unsuited for a woman's use. Charlotte Brontë, with all her splendid gift for prose, stumbled and fell with that clumsy weapon in her hands. George Eliot committed atrocities with it that beggar description. Jane Austen looked at it and laughed at it and devised a perfectly natural, shapely sentence proper for her own use and never departed from it." But it's not a very rigorous argument, apart from whatever opinions on the idea of a "woman's sentence" one might have. I don't think Jane Austen invented a new sentence, although there's no doubt she's a great writer who did some new and brilliant things with dialogue. Victorian prose was generally more ornate and formal than what was stylish in the Regency, and googling the quote Woolf used turns up "The New Monthly Magazine" of 1823, when that shift was already happening. The one thing I can come up with that I feel pretty sure about is that the way Brontë uses the Regency is very Victorian. While doing some research on Byron and his fans last year, I read an essay about silver fork novels, a style of popular novel that, according to Wikipedia, "dominated the English literature market from the mid-1820s to the mid-1840s" (Jane Eyre was published in 1847). Many silver fork novels, as far as I can tell, were a precursor to our Regency romances. They depicted the lives of the British aristocracy in detail, hence their name, and according to the essay I read ("Silver-Fork Byron and the Image of Regency England" by Andrew Elfenbein in Byromania), many of them took place in the Regency period and were love stories where a rake reformed and married the virtuous heroine at the end. But to Victorian readers, that had a much different significance than I think it does to us. The Regency represented a period of decadence and immoderation in English history, and the Regency aristocracy especially so: the "middle-class" values of chastity and thrift became so much more important at all levels of society during the Victorian era. The Regency rake's reform also symbolized the Regency Era's reform, and his shift to responsible landowner represented England's shift into the morally upright Victorian Era. Jane Eyre certainly fits that paradigm: Rochester's aristocratic moral degeneracy is transformed by Jane's rigid sexual morality (and the class differences between them don't hurt either!). What do you think? What makes Jane Eyre feel so Victorian? Are we just stereotyping the period's literatures based on their most famous female writers? Could you see Jane in high-waisted dresses and poke bonnets? 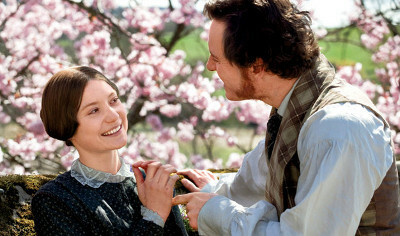 You hit a nerve with me, Rose, as Jane Eyre is one of my "Desert Island" books. My much read copy was purchased at the age of 11 from the little shop in Haworth. I had never realised it was supposed to be set at any time other than Charlotte Bronte's contemporary time (1850s) and I wonder how much Charlotte would have known about the REgency period because so much of the story is autobiographical. I am not sure schools such as Lowood existed in all their Victorian awfulness in 1808 and yet it is based on the school Charlotte and her sisters attended. It is invested in the Victorian era because Charlotte was writing about a world she knew (and a fairly small world it was too). Jane Eyre in a high waisted dress? Even at the age of 11 I always envisage Jane as a mid Victorian. There were plenty of awful orphanages and charity schools before the Victorian era! But I do think they weren't as popular a topic for novels. Once I was reading with this lense, I realized that Bronte did make an effort to give the book historical color in how she talks about clothes, in Jane's art style and reading material, and especially in the "Regency house party" sequence with charades and everything--amateur theatricals and charades were popular in the Regency as we know! The stuff with the colonies also fits the Regency timeframe (although Rochester's suggestion they go to France I think would be problematic since they were at war at the time). Plus Rochester is a Byronic hero! 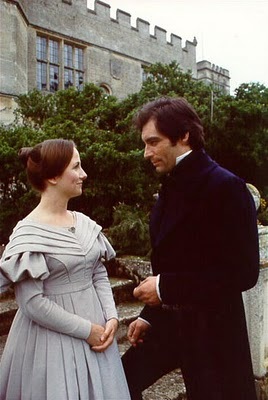 The Regency period was only about thirty years ago at the time so asking how much Bronte would really have known about it is kind of like asking how much I really know about the 70s or 80s. Victorian works for Jane Eyre I think. It's darker and rigid. I really enjoyed the actress in this new version. Her preformance oozed pathos. She was a very sad creature indeed. The stillness about her spoke volumes. When her heart is broken it feels all the more real. Austen often gets treated the same way, but usually in reverse. 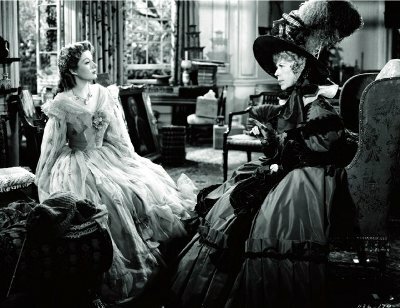 Many of the books were written/set in the late 18th century, but published in the early 19th and the films almost always have a Regency setting (Emma Thompson’s Sense & Sensibility is a rare exception, with the fashions are more correctly mid-1790s). I’m always a bit stunned when readers mention that they wonder why there’s no mention of the Peninsular War in P&P! I think all those Regency set film/TV adaptations have made people forget that the book is set in the late 1790s. I haven't seen the Toby Stephens version, but his Jane is the actress who plays Alice on LUTHER. I am so in!!! Rachel--I absolutely adored the new movie. You're right, Mia Wasikowska is a genius and the economy of her acting REALLY worked with the story and Jane's character. Isobel--TBH I think to a lot of viewers there's not a huge difference between the fashions in S&S and the ones in the BBC P&P. Even I have to look pretty carefully to spot them. I do think JA's decision to never mention politics can't simply be explained by "her books were set earlier" because she doesn't mention the French Revolution either! Thanks for the post, Rose. I had never done the math to realize Jane Eyre was set in the Regency era. I guess since Charlotte Bronte was a Victorian (the book was published in 1847), I've always accepted it as such. The orphanage, the 1st person narration, the self-made pluck--these are all characteristics that we've come to identify as Victorian because of the works of Dickens as well as Bronte. The spiritualism (Rochester's voice calling her from afar; even--sort of--the fortune-telling game) also seems to be more "Victorian" than "Regency." I'm trying to compare it with Mansfield Park, which might be Austen's closest analogy--but in that book we move from one family setting to another. When Fanny's sent away, she goes to rich relatives, then in disgrace she's sent back home. When Jane is sent away from rich relatives in disgrace, she goes to Lowood. So there's a disconnect from home to "industrialized care" that moves us later in time to a Victorian feeling. As for how accurately those themes represent a time period--well, you nailed it. Our perceptions do largely depend on the popular culture of the time. There were surely spiritualists and orphanages and first-person novels in Austen's time, just as there were charades and matchmakers in Bronte's. But they aren't part of our notion of the time, because they aren't in the books that are most read today. Theresa--yes, and you've made me realize something else! I really do think for me it comes down to the deep first-person POV thing. I was looking at your comment and realizing that I just don't have that wide a breadth of reading in Regency fiction the way I do with Victorians, and then I remembered that it's partly because almost every time I try to read an older novel that's not by Jane Austen, I find myself feeling alienated by the distance between me and the characters. JA was part of the movement towards deep POV, I think, but she was definitely at the beginning. The individual tale of woe and personal suffering, and a protagonist with a deep subjective personality, is just totally post-Romantic and couldn't have been written earlier because it wasn't a literary idea that existed, you know? I'm also intrigued with the idea that spiritualism is a Victorian thing--I know ghosts and supernatural stuff were popular and widely believed during the Regency, hence Gothic novels, but you're right, it seems like there was a subtle shift in the way they were experienced/talked about. I don't know much about it but I want to research it for my next book, which I think is going to have a ghost character! I think to a lot of viewers there's not a huge difference between the fashions in S&S and the ones in the BBC P&P. And my eyes bug out of my head, LOL! I do think JA's decision to never mention politics can't simply be explained by "her books were set earlier" because she doesn't mention the French Revolution either! Absolutely, but she's also not writing the ruling class. Her books are, IMO, solid gentry. No lords. No MPs. How many of today’s comtemp roms mention the war in Afghanistan (if they don’t have a military hero/ine)? If it’s just not germane to the plot, it feels wedged in. And the language can be a bit overblown for modern tastes. Reading Cecilia, or The Romance of the Forest can feel like a chore if I’m not in the mood. Isobel--but the French Revolution had a huge impact on all levels of British society and was widely discussed! I think Jane Austen's total apoliticism is really interesting and not necessarily "natural" or not a conscious choice. Some contemporary romances do mention world events or give their characters a political affiliation, some don't. I think The Castle of Otranto was the worst for me, I couldn't deal with a huge helmet falling from the sky and squashing someone on, like, page 2. Okay everyone, I hate to leave such a great discussion but I have to go to work! I'll be back later to reply to more comments. What an interesting post Rose. I have to admit that I found it jarring the first time that I saw the Timothy Dalton version of Wuthering Heights because the film is so clearly set in the late 18th/early 19th century, not the Victoria era from the Laurence Olivier film. It wasn't until I actually read the book that I realized that Emily had set the book in that century. I'll have to read Jane Eyre again with that in mind. Films of Jean Rhys Wide Sargasso Sea seem to be set during the 1820's or 1830's. Interesting post, and I agree with Alison above that it just never occurred to me that it was set at any time other than Charlotte's own lifetime. I admit it's not on my reread-often-list! 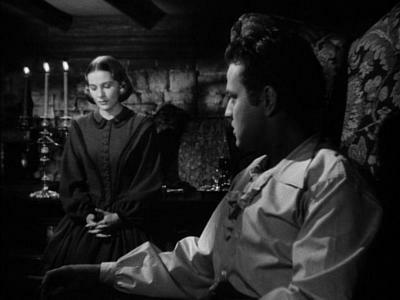 Elizabeth--I haven't seen the Dalton Wuthering Heights! He did both that AND Jane Eyre? Good for him! As for Wide Sargasso Sea, if you figured Jane Eyre was set in the 40s then the 20s/30s would be right...I haven't read the book of that and don't know what the author interpreted the time frame as. Do you have any idea? Irishhistoricaltextiles.com--Thanks! I think it's about time for a reread myself...I try to wait a few years in between so it feels fresh. But it's one of my favorite books. Something to keep in mind is that until 1815 or so the mores were very much determined by the aristocratic class. Victorian mores became ascendant when the middle class, who had never embraced aristocratic behaviors, became economically, and socially more powerful, especially after 1832. These behaviors are class-based, and only somewhat modified over time. The young aristos I knew in London in the 1980's were no different in their values and behaviors than the aristocracy in 1800. It's just that, unlike the gentry and the middle-class, they are now a very small subset of people.